Now you don’t have to wait for long for your photos to appear on your website or any other change that you make to take effect. Divi gives you the convenience of instant updates. Each of your design changes will be visible with absolutely no delays. This feature gives you sets you up for 100% accuracy making Divi the most trusted WordPress theme. A lot of times you might get frustrated while adding captions to your photographs, for it might require you to open a separate settings panel each time. Worry no more, for with the best WP theme for photography, Divi, you don’t have to do that anymore. All you’ve to do is click and point at whatever location you need to add text at and type away. There are no bounds to the creativity one can display while building a website, especially one that revolves around the creative process of photography. This is why Divi lets you be your creative best by giving you the option to customize everything. You can change your fonts, adjust the sizes or spacing, and even opt for custom CSS properties. The best features can only come out of the best photography WordPress theme, which is why Divi gives you live previews for all your edits, and watch your work live in action by applying custom breakpoints and making changes. No more having to struggle to fit everything together, for Divi organizes everything automatically. Add as many rows as you want, and organize all your photos into neat lines. Choose the column type you prefer, and watch Divi work its magic with stellar organizational skills and amazing WordPress themes. Perhaps there’s some content that you wish gets featured on all your pages, maybe a photograph you’re overly proud of. Simply add them as global elements and then attach them onto multiple pages. After you’ve done that, make some changes to your content once, and watch them take effect everywhere. With such an amazing collection of elements, your photographs will literally seem alive. From the most minimalistic to the most complex, anything can be customized and designed with Divi, the best photography website template. Whenever you create a layout that you think is worth replicating, save it for future use. Or simply plug into the internet and download one that you think will serve your photography website in the best way. The best feature that comes with Divi is undoubtedly the convenience, and with convenience, speed becomes a pre-requisite. Photography sites often tend to lag since high definition photos end up taking a lot of memory, thus slowing down the loading process. But Divi doesn’t let that happen, with absolutely zero loading for all kinds of content. Divi isn’t simply a website builder, think of it as a package, inside which you’ll find multiple utilities for your photography website. One such utility that you’ll be delighted to find is the huge collection of pre-designed layouts that are more than sufficient to brighten up any average website. No more opening up a separate window to add text to your page. As photographers, you might want to add text a lot, since every photograph needs a bit of description. With Divi, this will be the easiest process ever, simply click on the desired location and start typing. Resizing your elements is now a piece of cake. No more working with complex pointers or specifying sizes numerically when you’re not sure of the result. With Divi’s drag and drop themes, simply drag your content and stretch or compress them to the desired size. A major reason why Divi works well with all developers or website designers is that it gives them the power to tweak almost everything. Customization is the biggest asset for Divi, which is why it is touted as the most flexible WordPress theme. All interface elements can easily be adjusted as per your content or your screen. What if you were to get the results for all your work instantly? Perhaps that’s the best motivation to continue working. Divi makes it happen by instantaneously displaying the effects of addition of elements, rows or columns. All kinds of copy/paste operations are reflected in the result right away. It is essential for photography websites to function on all kinds of devices, with different screen sizes, for a lot of photography enthusiasts prefer working on mobile phones alone. Divi gives you page builder templates with an option to switch between mobile and tablet previews so that you can customize both and ensure smooth functioning of your content everywhere. Moving content from one place to another has become easier than ever with Divi’s drag and drop WordPress themes. All you’ve to do is drag the content over to wherever you want it positioned. Additionally, you get the flexibility to zoom in or zoom out to get a clear picture of what’s working or not and whether you need to rearrange content. Accordions can be fitted with any number of toggles, and later be fitted with a suitably sized column as per your website’s design. They’re excellent for bringing together useful bits of information on your website. Plus they look great too. Perhaps you need some audio to go along with a photo, or a group of photographs. Sometimes music brings out the best of things, which is why Divi gets you the audio player module so that visitors can play music while they look at your photographs. They’re animated and fun. Stats can be boring to look at, but with these bar counters, even your stats will look interesting to your visitors. Simply add them to your page and watch the animations hook in visitors. Use this module to put up the finest display of your photos along with the latest web design or photography news snippets. Beautify your content further with top WordPress premium themes. Blurbs are exactly what they sound like, little tidbits of information placed in an attractive manner. Use them anywhere on your website, and include text as well as one of your photos to make them look better. Which web page can be complete without buttons? The best photography theme builder, Divi lets you put them anywhere on your website and provide options for various styles. Choose the style you want and easily position them at your desired location. The first thing that your users are drawn to is perhaps a call to action. This is important if you’re looking for some extra clicks and need to highlight some bit of information that requires some action by the user. Do you know what makes stats even more interesting than regular bar counters? An animated pie counter is an answer. These circular pie counters make your photography stats, even more, fun to read and look at. Comments are generally displayed only at the bottom of the page, but with an awesome WordPress theme like Divi, you can make them appear anywhere. Plus, you get to design your forms in fresh and exciting ways. The one thing you can expect a growing photography business to have is good communication with the customers. To do that, this WordPress theme maker, Divi provides you with contact forms that can be added anywhere you, please. Maybe you’re holding a photography contest, and you need to set a timer that says when the period of submissions is going to end. Simply make use of Divi’s countdown timer module and set the date and time, and the timer will countdown automatically. In a photography website, the organization is key, or else everything looks cluttered. Thus, use Divi’s dividers to give ample breathing space to all of your content. WordPress website creators often stress the importance of giving margin room to all the content you have. With three major mailing lists integration, this best WordPress theme builder, Divi makes handling mailing lists extremely convenient. Now manage all your contacts easily and send out broadcasting emails without having to go through any struggle. Portfolios have become an integral part of building WordPress themes. They are essential for photographers. Give users the chance to go through your portfolio with all of your major photography projects displayed with Divi’s portfolio module. Perhaps the most important element for a photography website, the gallery lets you put up a spectacular display of your photographs, all stacked up neatly and organized for your visitors to see. You’re going to be using a lot of this module if you’re building a photography website. Divi, as a flexible WordPress theme, easily lets you do that. Plus, you get five different animation styles for your photos. Another engaging way to include stats, the number counter module is triggered by lazy-loading and makes the page an interesting read. These counters are similar to bar counters and are an element that best WordPress theme designers often use in their creations. Give your photographers the credit they deserve by building this section using Divi’s amazing person module, which is not just interesting to read but also gets all the information about the concerned person across. Portfolios can come with sidebars and take up any number of columns. Another great way to display some information along with a photo or two, use this to hook your viewers in. Let your content never end. Put up next and previous links on your posts so that users never run out of content to look at. Add posts in a standard slider format so that they are not just fun to view but also conveniently scrollable. You can add featured blog posts that remain at the top using this module. Include plans, create tables or include unique features for each, all with Divi’s amazingly designed pricing tables that let you put up prices for your photography services. With Divi, you’re with the most flexible WordPress theme, which is why you get to add search forms anywhere on your website. A great way to display whatever it is you’re selling, be it your photography services or your photographs themselves, Divi’s shop module is fun and engaging like no other. Sidebars can be put on either side of your page and display little bits of information that you don’t want to give a lot of prominences too, but still, needs to be displayed. Sliders are great, especially for photography websites where you have so much content to display. They’re a great way to save space and also make the content look attractive. Use Divi’s slider module to place them anywhere you desire and with the width you choose. Photographers can’t live without social media for advertisement is absolutely integral to their work. Divi’s various social plugins make promotions and displaying links to your social profiles fairly easy and convenient. Tabs are a great way to save space by putting up multiple pages on a single screen. Use Divi’s tabs to create multiple columns that look great apart from consolidating your information. Testimonials are great to increase the confidence your customers put in yourself and your work. Easily add testimonials to your photography sales page with Divi, the best Worpress theme out there. The text is essential for any website. You can add text anywhere without any hard work by simply clicking wherever you want to add it too. Use it as captions to your photos or to display other information. Toggles bring together useful bits on information on your page. They work great with the accordion module, and also most suitably placed inside columns. Perhaps there’s a video montage of your photos that you want to be displayed, or any other useful video that you want your users to see. Simply upload the video and position it using Divi’s video module. Need to put up multiple videos? Simply utilize this great video slider module that puts up multiple videos in a slider format. Headers are great for displaying the useful characteristics of a page or to display the primary pages of your website in a single row, for easy navigation. Or, you can use them to put up links to various categories of your photographs. Divi’s header module manages everything. The best part about Divi is that while building WordPress themes, it also lets you be your creative best without putting in much effort. This is why designers swear by this and are also the reason behind its massive popularity. Not just photography business, but in fact, a lot of other businesses too are using Divi to build their websites. You have a chance to connect with all these like-minded people and be a part of an ever growing community of smart and passionate people. It’s been eight years since Divi started giving out its services and since the very first day, the utmost priority has been customer satisfaction. That scenario isn’t going to change anytime soon, and thus when customers put in their trust in Divi, they do so knowing that they’re doing the right thing. WordPress interfaces can be tough to master, or even learn at the basic level. Fortunately, you don’t have to. 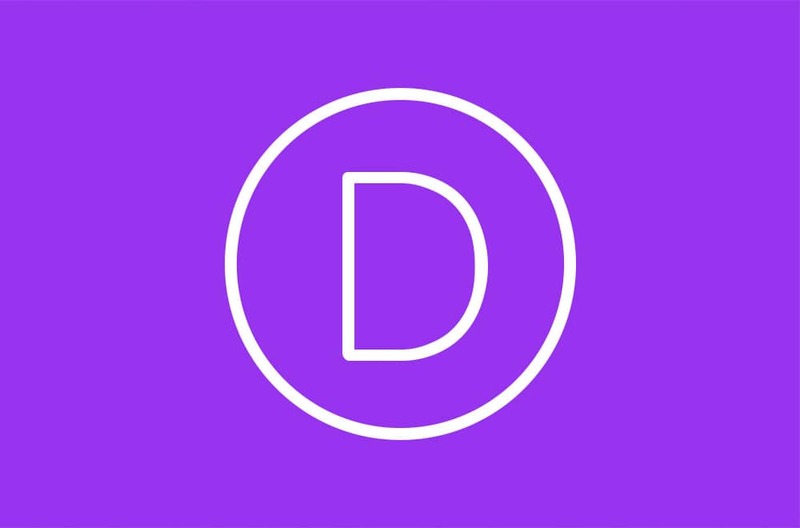 With Divi, all photographers simply need to learn to operate Divi, which frankly, isn’t much of a task. Privacy for your photographs in terms of ownership rights is necessary. Divi, being a responsible WordPress website creator, understands this and thus allows your customers to have limited access wherein they can’t modify your actual designs. The support team working with Divi is eager to help and quick at solving issues. No customer ever has to wait in line to talk to a support member and service is always fast and comfortable. Divi doesn’t charge extra for any of their WordPress premium theme, just purchase once and enjoy their services for any of the websites that you build. Along with top WordPress premium themes, you get something else from Divi as well, the chance to experiment. With hundreds of customization options at your disposal, you can create almost anything that you can think of. Headers and footers are important as they’re a constant part of your website, across pages. Divi gives you multiple header options as per alignment or navigation. You get to adjust colors so that they match your photos, or apply different opacity values to experiment what goes best with your page. Enabling a theme isn’t just about it, for you even the option to edit the theme as per our very creative and intuitive theme options panel. This panel gives you the flexibility to apply logos, insert third party scripts or custom CSS, make changes in the color palette or play with Divi’s various features to get the best out of your photographs. 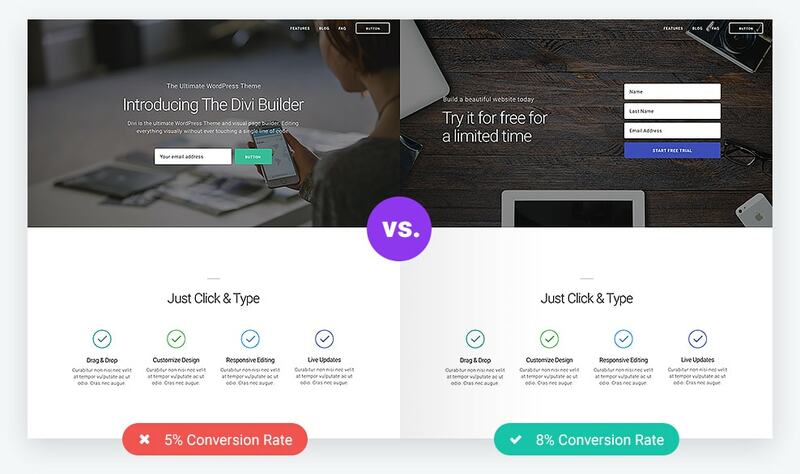 Divi’s in-built conversion rate optimization and split testing system are the most accurate in the business and can serve you in the best possible way to skyrocket your photography website’s popularity. No matter what the content you’ve created, be it a WordPress framework theme or otherwise, Divi turns it into a split test and tracks user traffic and engagement onto the content so that you can be informed whether the content works or not. This allows you to create and set unique goals as per the data you get and work towards getting better user attention. Anything you create and design can be put to a split test using Divi Builder. All the necessary user engagement info is tracked with the help of Divi Leads automatically, based on your specific goals. You can change the content, make design changes and check out which combination works best for your site – all thanks to Divi. Divi’s insights are completely accurate and trustworthy, and the split testing tools are the most precise you can get. Following these insights can propel your photography business to greater heights as they’re made only after tracking user engagement on your page and are purposely geared towards increasing your sales and conversion rates. 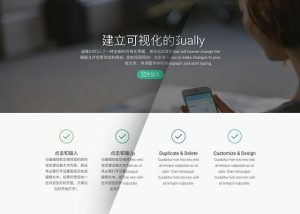 With such a huge consumer base, Divi can’t exist without supporting multiple languages. 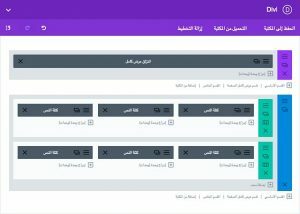 Divi’s vast community, along with the best WordPress theme designers can’t enjoy its services unless they understand the language it’s written in, which is why Divi has been translated into a total of 32 languages. You don’t just get the front-end elements translated; rather you get the whole package. With Divi, your photography website will be so much easier to build simply because it’s translated into your language, right down to the Divi Builder interface, which also includes descriptions and form fields. RTL languages can be tough to work with on most applications, since they utilize an entirely different style of writing, one that involves writing from the left to the right side. But with Divi, nothing can get in the way of your customizable WP themes, for it completely supports RTL languages. RTL users get not just the front end elements changed as per the RTL style, but also the Divi Builder interface for maximum convenience. 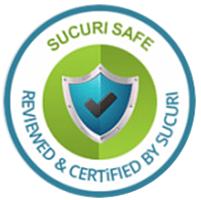 Sucuri.net is a web service that is designed with the aim of ensuring the security of online content and to protect the users’ privacy. In association with Sucuri, Divi ensures maximum security for your photographic content in terms of no unauthorized accesses or breaches onto your website. All of this is done so that you can sleep peacefully knowing that your content is safer than it could possibly be elsewhere. Get Divi Themes by Joining Now!